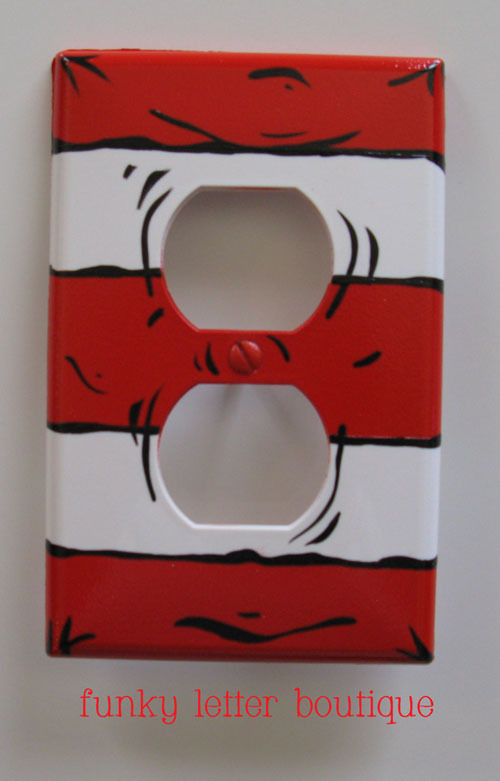 This adorable outlet plate is painted in Dr. Seuss Cat in the Hat stripes. If ordering just a switch plate turnaround time is 1-2 weeks. If ordering with a set of letters it will be shipped when your letters are completed. Also be sure to check out the matching letters and other accessories I paint for my Dr. Seuss collection!